We put up two or three feeders in the winter for the birds. 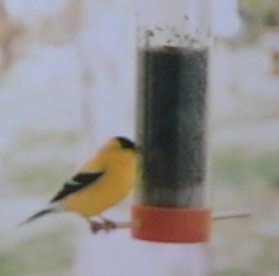 I get sunflower seed in 50Lb bags and wild bird seed in 25Lb bags. I don't really know how much I get a year but I put out about a gallon of sunflower seeds and a quart of wild bird seed a day. This varies somewhat with their interest and the severity of weather. Some of this feed I scatter on the ground. In the summer, I put out about a quart of seed every 2-3 days and put up a hummingbird feeder. 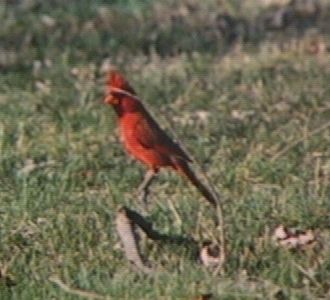 On several days last winter, I counted 19 male cardinals! We also get lots of gold, house, and purple finches, doves, Carolina chickadees, titmice, nuthatches, and sparrows. A few red bellied woodpeckers and downey woodpeckers come regularly, as do a few bluejays and towhees. We get visits from evening and red-breasted grosbeaks during their migration. Also, in winter, we get several varieties of hawks, preying on the birds attracted by the feeders. In the summer bluebirds, indigo buntings, scarlet tanagers, baltimore orioles, flickers, robins, and quail come to the yard, but rarely to the feeders. Only once, on different occasions, I have seen a grouse, a pheasant, and a rooster. 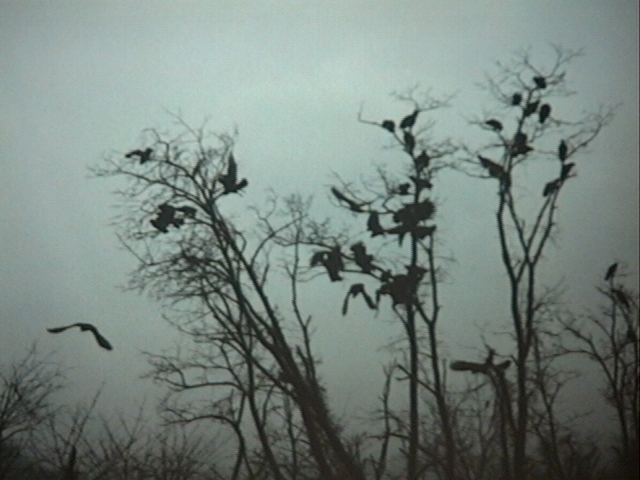 The woods next to our house shelters about 250 black and turkey vultures during spring, summer, and fall. We don't notice any odor and have very little trouble with droppings on the cars. It is really neat to watch them soar and circle when they come home in the evening. It is a lot of fun to hand feed the birds. Nuthatches will take seed from my hand if they don't have to leave the tree. Chickadees and titmice are very bold and will come to my hand. (Chickadees are little pigs and will often take two sunflower seeds in their mouths at once. Of course they scatter lots of seed finding just the right two to take!) One day this spring a male goldfinch came to my hand several times and stayed several minutes at a time, eating and looking around. 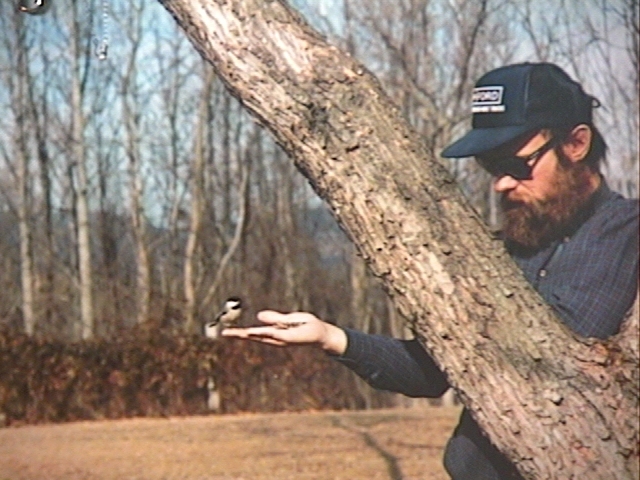 Tricks for hand feeding wild birds and video clips. Click on an image to see a larger version (51Kb-222Kb).